Villager leads Irish American Claddagh Club to new heights. The future of the Irish American Claddagh Club of The Villages was recently up in the air after the death of the club founder/president. The grieving vice president didn’t want to take over, yet Villager Dottie Hockey believed the group needed to continue—just like the late Patricia Ross would have wanted. Dottie volunteered as president by telling the members: “If you’ll help me, I’ll do it because Pat would not want our club to die.” Founded in 2007, the club is one of four Irish-American groups that began as a social opportunity for Villagers with Irish heritage. The club meets at 6:30pm the second Wednesday of the month from September-May at Colony Cottage Recreation Center, 510 Colony Blvd. 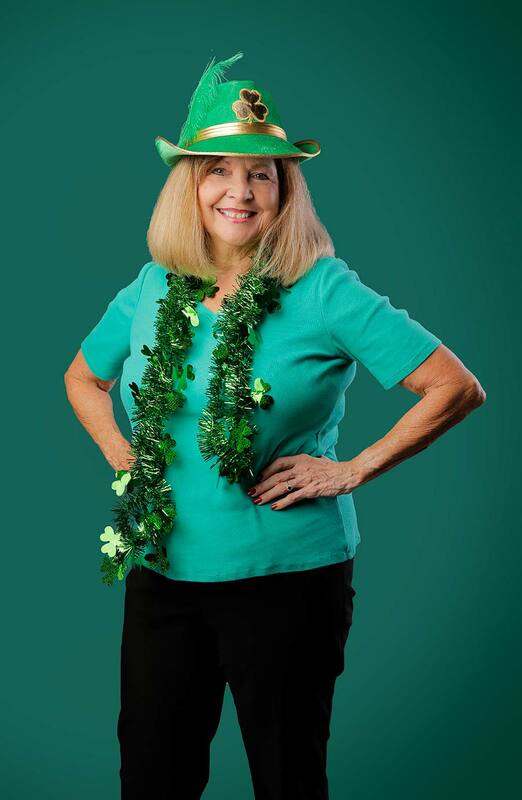 “We are starting golf, bocce, bowling social groups within the club and planning a possible trip to Ireland in 2019,” Dottie says, adding her group will celebrate St. Patrick’s Day on March 14 with a catered corned beef dinner and Irish pub-style entertainment by Patrick Hagerman. Dottie strives to live each day to the max, and she aspires to see the Irish American Claddagh Club grow. Did ancestors serve in Revolutionary War?